Twelve emerging young artists are were selected arrive in Blackpool this Friday for the first ever weekender residency scheme exploring popular culture. The weekend has been organised as part of a pilot to explore new ways for artists aged 18-30 to come together to learn and share ideas. Born out of an ongoing collaboration between UK Young Artists (UKYA) and town centre space Abingdon Studios above Abingdon Street Market, the ambition was to create a national scheme allowing young artists to develop new work. Whilst in residence the artists heard from industry professionals including Michael Trainor, Artistic Director of LeftCoast who have supported the project, and well established artists and curators including Richard Smith, Tom Ireland, Andrew Gannon, Thomas Small and Claudio Zecchi. 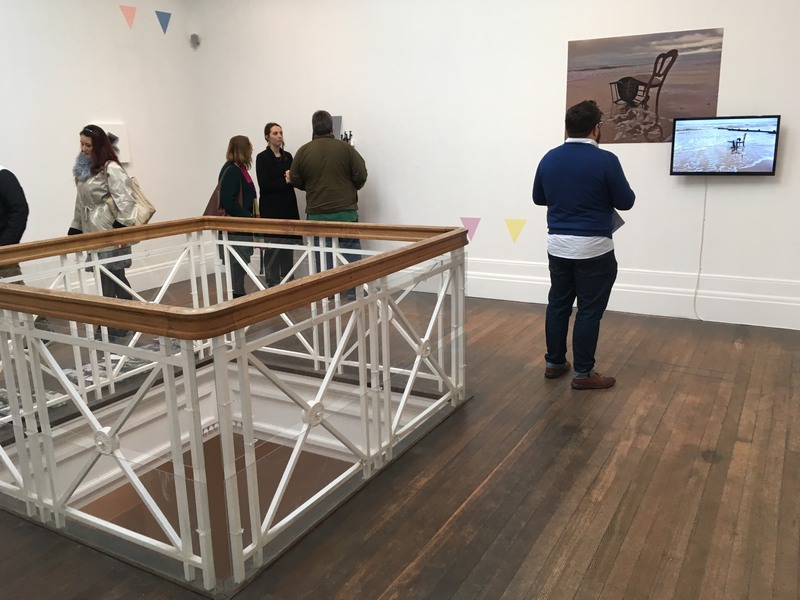 Within the three day period the artists collaborated with Andrew Gannon to conceive and develop an exhibition open to the public as well as workshop and work presentations led by Thomas Small. The Weekender Residency is now a scheme that will be repeated and responsive to studio provisions in St Ives, UK in April 2018.